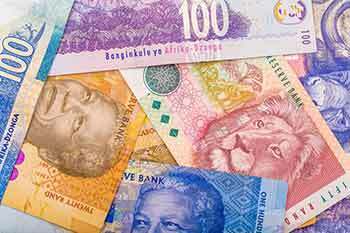 The Euro to South African Rand (EUR/ZAR) exchange rate weakened to its lowest level in 3-weeks on Thursday as the South African currency received support from disappointing data out of the USA and as concerns over Greece weighed on the single currency. More soft data out of the USA combined with the previous session’s dovish Federal Reserve policy meeting minutes to weaken the US Dollar and send emerging market currencies like the Rand climbing against its major peers. The Federal Reserve minutes showed that policy makers in the US were unlikely to start raising interest rates in June, as had been previous forecast. A run of weak economic data has dented optimism and raised concerns that the world’s largest economy is struggling to recover from the weakness experienced in the first quarter of the year. ‘Many officials thought it unlikely that the data available in June would provide sufficient confirmation that the conditions for raising the target range for the federal funds rate had been satisfied, although they generally did not rule out this possibility,’ said the minutes. Data released on Thursday showed that the number of Americans filing for unemployment benefits rose more than forecast last week. According to the Washington based Department of Labour, the number of initial claimants rose by 10,000 to 274,000. Economists had been expecting jobless claims to rise by 7,000 to 271,000. Also supporting the South African Rand was the announcement by the South Africa Reserve Bank (SARB) that it had chosen to leave interest rates unchanged at 5.75%. The central bank has kept interest rates on hold since July 2014. The banks committee highlighted concerns over a deteriorating inflation outlook on a weakened Rand and rising oil prices. The Euro meanwhile was also under pressure as economist attention turns to the European Union meeting due to be held in Riga Latvia. The meeting will likely cover topics ranging from the UK’s aims to renegotiate its terms with the EU and the Greece bailout talks. With time running out for Athens, economists will be hoping to see some progress in the negotiations. Rumours are growing that Greece could be offered a four-month bailout extension to give the government time to implement economic reform measures.